How do you like your drones: Fixed-wing or multirotor? Civilian or military? Thin-crust or Chicago-style? That’s the question you’ll be asking yourself after a new video from unmanned aerial vehicle-centric Spanish YouTubers deDrones. 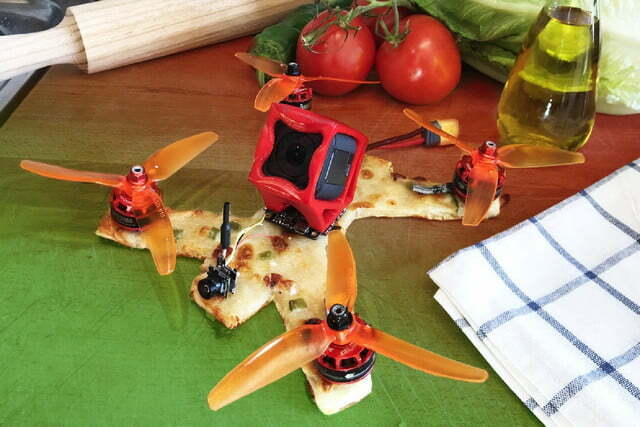 Cutting out the unnecessary extra step between drones that deliver food and, well, the food itself, they recently set out to create a drone made out of pizza. Rodríguez said that he was interested in the challenge of whether such an unwieldy and impractical drone could ever fly. In the end, he was satisfied that a strong enough frame could indeed be created out of pizza dough. Not that it was easy to pilot. “It was really difficult. 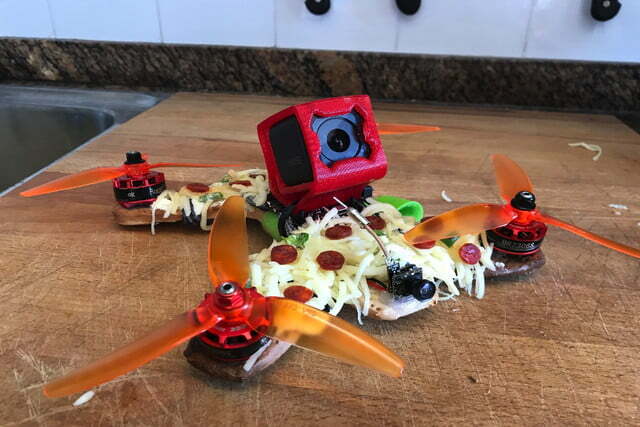 The motors were placed as well as I could on a pizza, but the drone was vibrating a lot, and after I tried to make a roll, one arm broke and the drone fell to the ground.” In an attempt to make piloting it as easy as possible, Rodríguez used the camera to create what is surely another world first: The first flying pizza to be piloted using first-person-view goggles. As Rodriguez noted, this isn’t the first unusual drone he’s created. 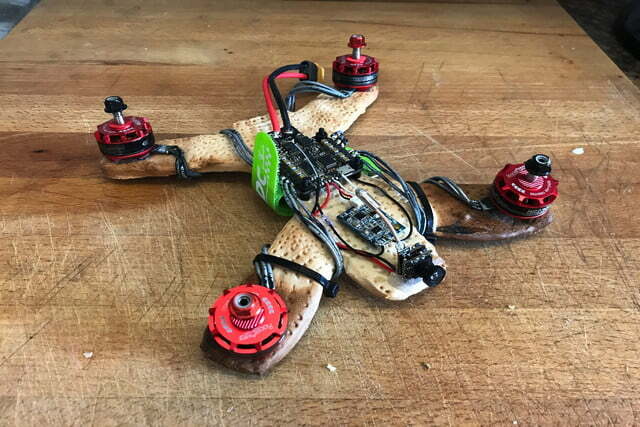 His previous innovative creations have included a 3D-printed drone, a drone made out of a CD-ROM, and a cardboard drone. He told us that he also has “very good ideas” for other original drone concepts planned for the near future.